Nobel Prize-winning economist Paul Krugman is worried about rising inequality, and he knows what’s to blame. Writing in his NY Times column earlier this month, he criticized restrictions on land use that drive up housing costs near job centers. 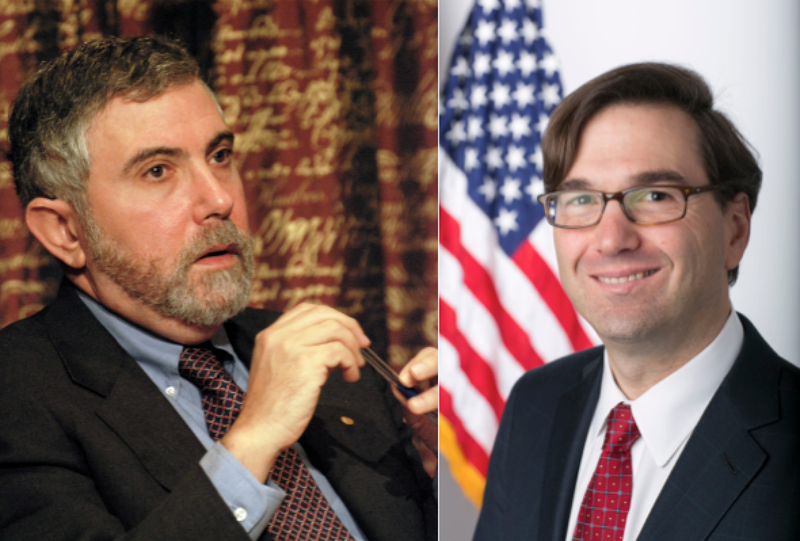 Krugman – a former professor at Princeton University – has written about this before, but now Jason Furman, Chair of the White House Council of Economic Advisers has added a forceful case against restrictive zoning, saying it correlates with inequality, and adding “the president [Barack Obama] is personally concerned”. Both Krugman and Furman are on the liberal side of the debate, but there is now a bipartisan consensus among economists that restrictive land use regulations hinder social mobility and contribute to inequality. So why is Princeton still pushing through new restrictions on land use? Land use restrictions are popular among residents who believe that a ‘growth machine’, made of corporate interests aims to ruin local communities by irresponsible building in pursuit of profit. Subscribers to this idea believe that robust limitations on development will protect the neighborhoods that they love and preserve affordability. Local politicians are on board with this, hence Mayor Lempert says things like “it is important that the town retain its “essence” as a small community”, and Council Member Jenny Crumiller recently said “our old-fashioned tree-lined streets and small town character are part of what makes Princeton Princeton.” Even though it is based on good intentions, this political support for tight zoning and land use restrictions drives up housing costs and promotes inequality and social exclusion, according to the analysis of Krugman and Furman. However, there are signs of hope in other communities. The YIMBY movement (‘yes in my back yard’), which is growing around the nation, aims to boost a realistic awareness of the value of new housing in our communities. Some politicians, such as Oakland, CA Mayor Libby Schaaf and even Jersey City Mayor Steve Fulop recognize that market rate development can and must be a big part of the affordability solution. Although the Obama White House’s proposals on gun control have gone nowhere, we can still hope that recommendations for more liberal zoning will be taken seriously. This entry was posted in Affordability, People, planning, Zoning. Bookmark the permalink.